You have made the decision to control your financial future by purchasing a business. Owning a business is the greatest way to build wealth and take charge of your own destiny. Congratulations for contacting Murphy Business Brokers, you’ve selected the best in the industry! 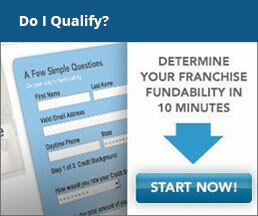 Now the process begins to help find and acquire the right business for you. All buyers should meet their Murphy Business Brokers representative in person, however, if that is not possible due to distance, continuous communication by phone or email can be effective. We begin our process by gathering detailed information about you to establish your financial capabilities, your skills and experiences, and your personal life goals. This information helps us gain your commitment to the process and determine the best types of businesses to pursue. Once this is completed, we will start your search using Murphy Business Brokers’ considerable market basket of resources. You won’t feel comfortable making a decision until you understand what it takes to buy a business. We will explain the process and help you understand the realities of the current marketplace. You will learn how to use online forms, to search the Internet for businesses, to read Business Listing Information sheets, to understand basic valuation concepts, and to review our available opportunities. Now the hard work begins. We will help you search for your business, aid you in signing confidentiality disclosures, get you detailed information on the business, and set up showings with the seller. We will refine your business search and visit opportunities until you decide on a business to purchase. If your search takes longer than a few months, you may need to return to the education step. We will share with you our expertise in deal structure, by helping you draft a contingent offer on a business that you would like to buy. A purchase and sale agreement will be presented to the seller with a deposit of good faith held in escrow to demonstrate your seriousness. After any negotiations, you should be left with an executed contingent purchase agreement to buy a business. This period is where you fully inspect the owner’s representations are accurate. We will coordinate the efforts of your legal and accounting professionals and strive to satisfy all contingencies. If there is financing involved your application must be approved by the lender, proving that you are qualified for repayment of the loan. Final preparations will be made for lease assignments, utility transfers, financing, merchant service accounts, inventory counts and any other last minute preparations to make the transfer as seamless as possible. Your acquisition will usually be completed by an attorney with the signing of several documents and the payment of the balance of the purchase price. Transitional training by the seller may include meetings with employees and clients, technical education, computer updating, and other essential knowledge transfer. We will be available to assist you with any questions or post closing requirements you may have. Remember what you have learned throughout this process, because when the time comes, Murphy Business Brokers will still be here to help you sell your business. Many additional questions may arise during the buying process. Please do not hesitate to have us explain in detail any portion of this process. You will discover that, with Murphy Business Brokers’ assistance, you can have a successful experience purchasing and owning your own business. If you are interested in obtaining more information on a listing, please CLICK HERE to electronically sign our Non-Disclosure Agreement (NDA). Be sure to include a description of the business you are inquiring about (and the listing # if you know it) on the bottom of the form. "After owning our business for 56 years we could not have been happier dealing with such a caring guy as Joe. It was extremely emotional for us to let go and Joe knew this the whole time. Joe helped us through the whole process with ease and found us a buyer within 6 months that we felt very comfortable passing on the torch too. We are very grateful for Joe in his hard efforts to find us a buyer quickly so we both can retire now!! Thank you so much Joe!!" © Pennsylvania and New Jersey Business Brokers. All Rights Reserved.